The Three Creeks Race is for teams of sailors and trail runners looking for adventure in a unique race that combines endurance, nautical skill and the beauty of the South Hams coastline in a weekend. Starting in Dartmouth, pairs of runners from each team undertake three trail runs primarily along the coastal footpath and two sailing legs taking in Salcombe and the Eddystone Lighthouse before finishing in the Yealm. Each team has between four and five competitors. Runs must be completed by at least two competitors which means you can share the running or leave it to two die-hard nutcases! "This was a great weekend. 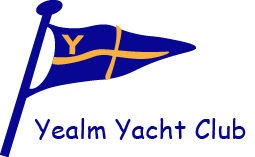 The concept worked brilliantly - a combination of the challenging sailing close pilotage and boat work to put the runners ashore and an endurance running event all over two days on the beautiful South Devon coast could hardly fail. Don’t miss it! "